Numerous passages make reference to the wilderness of Judea. John the baptizer, the herald who prepared the Jewish people for Jesus coming, preached in the Wilderness of Judah (Matt. 3:1, CSB; “the Desert of Judea,” NIV). Jesus was led of the Spirit into the wilderness to be tempted by Satan (Mt. 4:1). I never tire of seeing this portion of the Bible lands; it is fascinating to me. This photo, taken just days ago, shows the wilderness of Judea at sea level. 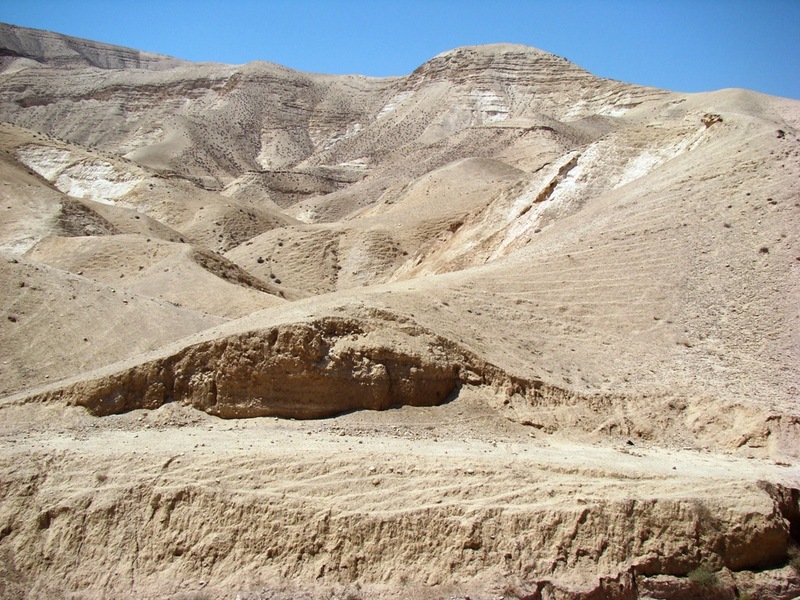 Wilderness of Judea at Sea Level. Photo by Leon Mauldin. Click image for higher resolution. This entry was posted on Monday, September 12th, 2011 at 8:50 PM and is filed under Bible History and Geography, Bible Study, Israel. You can follow any responses to this entry through the RSS 2.0 feed. You can leave a response, or trackback from your own site.